The first week of January 2018 has been accented by frigid temperatures across much of the nation. In the Delaware Valley, we’ve “enjoyed” highs in the teens, and windchill temps clocking in the single digits. On this day in 1983, however, it felt positively balmy: We hit a high of 55. I covered this month before via Trouser Press; and the previous month via Record magazine. The most important thing to know: Unemployment topped 10 percent for the fifth month in a row. The Reagan Recession, in other words, was in full swing. But, as I mentioned in that Record magazine recap, you wouldn’t have known it by me. I was 17, a high-school senior, and concentrating on my studies. And although far from a math wizard, I could count – which explains why I worked inventory at the Abraham & Straus department store at the Willow Grove Park Mall as a temporary employee this month. (In a few years, I’d sign on at the same store as a sales associate.) I also had plenty of Christmas cash courtesy of my great aunts and uncle, and used much of it to expand my cassette collection – a necessity, as I’d received a Sanyo Mini AM/FM Stereo Radio Cassette Recorder for Christmas. 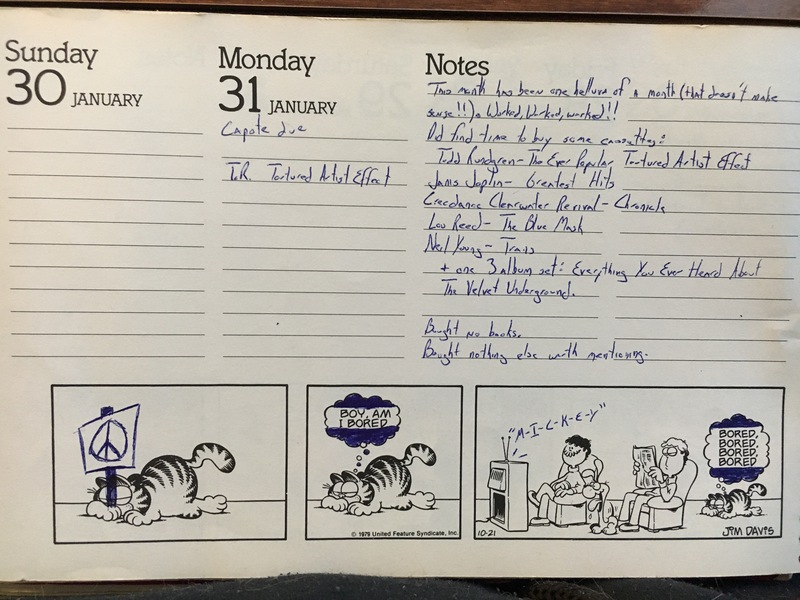 Anyway, as my Garfield desk diary reveals, the month’s other purchases included cassettes by Creedence Clearwater Revival, Janis Joplin and Todd Rundgren; and a way-cool three-LP Velvet Underground set. I also received, via the RCA Music Club, five of the six tapes I’d ordered the week after Christmas; as with Trans, I already owned Stevie Nicks’ Bella Donna and Pete Townshend’s All the Best Cowboys Have Chinese Eyes on vinyl, but Eagles Live, Glenn Frey’s No Fun Aloud and Fleetwood Mac’s Tusk were new to me. 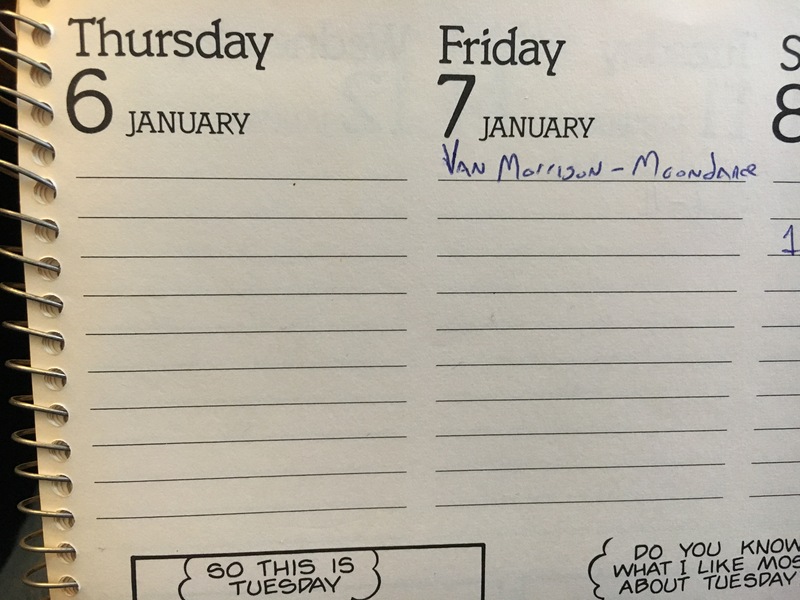 One album that I inexplicably left off of that end-of-the-month summary – Van Morrison’s Moondance, which came into my life on Friday the 7th. It’s still one of my favorite Van albums. One other notable event this month: on the 21st, I ventured into Philadelphia to see A Clockwork Orange at the TLA on South Street. 1) Hall & Oates – “Maneater.” For the fourth week in a row, the No. 1 song in the land was this catchy hit from the Philly pop-soul duo. 2) Michael Jackson & Paul McCartney – “The Girl Is Mine.” The lead single from MJ’s classic Thriller was this syrupy confection, which was the week’s No. 2 single. 3) Don Henley – “Dirty Laundry.” The lead single from Henley’s first solo album, I Can’t Stand Still, is as relevant today as it was when it was first released on October 12, 1982. This week, it rose to No. 3 (from No. 4). 4) Men at Work – “Down Under.” Jumping four spots to No. 4 is this one-time MTV staple. 7) Dire Straits – “Industrial Disease.” After the success of 1980’s Making Movies, Mark Knopfler & Co. stretched out on Love Over Gold, a full-length LP with just five songs (including the 14-minute “Telegraph Road”). This satiric tune, which entered the charts at No. 86 this week, was the album’s shortest entry at 5:50. 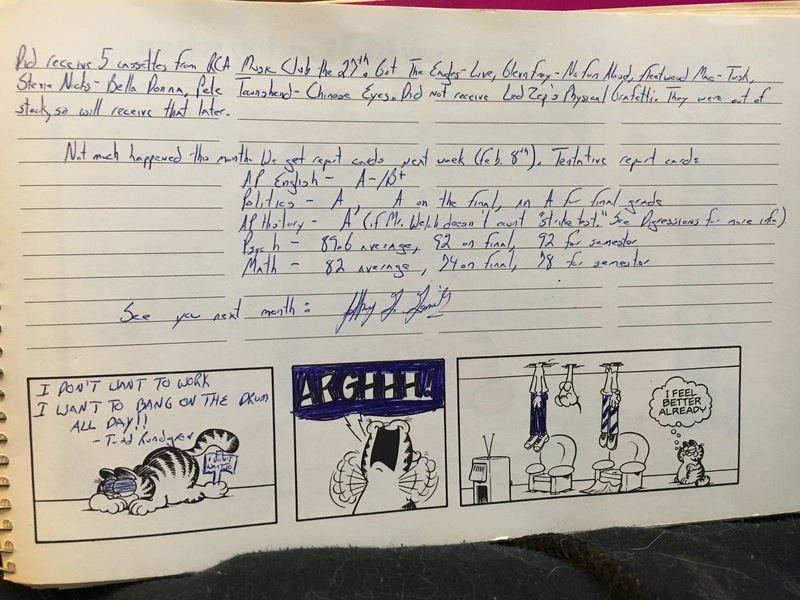 I’m tripping the memory fantastic to the magical month of March 1983 this morning. 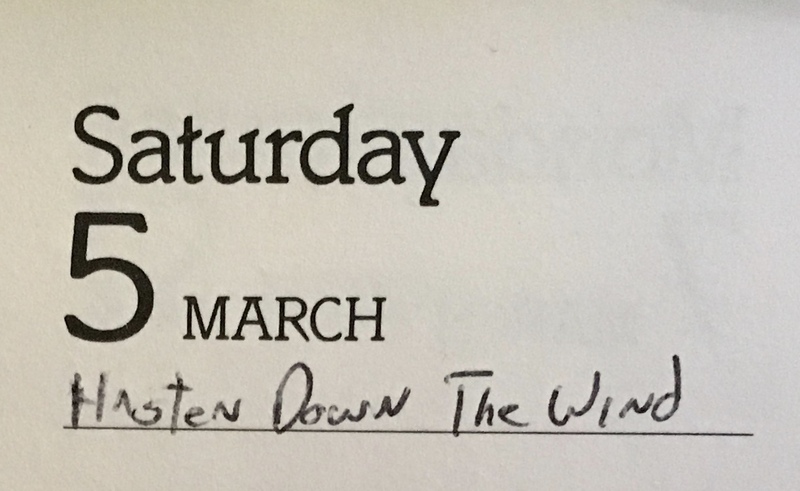 On this exact day that year, a Saturday, I hopped on my 10-speed bicycle and pedaled my way to one of the record stores that I often haunted – Memory Lane Records in Horsham, as it was a great day for a bike ride: 52 degrees (Farenheit) and relatively sunny. The biggest story in the news was M*A*S*H, which aired its final, 2 1/2-hour final episode the previous Sunday. On the sports front, the Flyers were in the midst of a winning streak – 21 wins, 3 losses and 3 ties since the New Year – while on their way to an early playoffs exit. The night before, the 76ers had suffered their first loss (to the hated Boston Celtics) since February 4th; they were 26-3 since the New Year, and headed for the NBA Finals, where they’d sweep the Lakers. 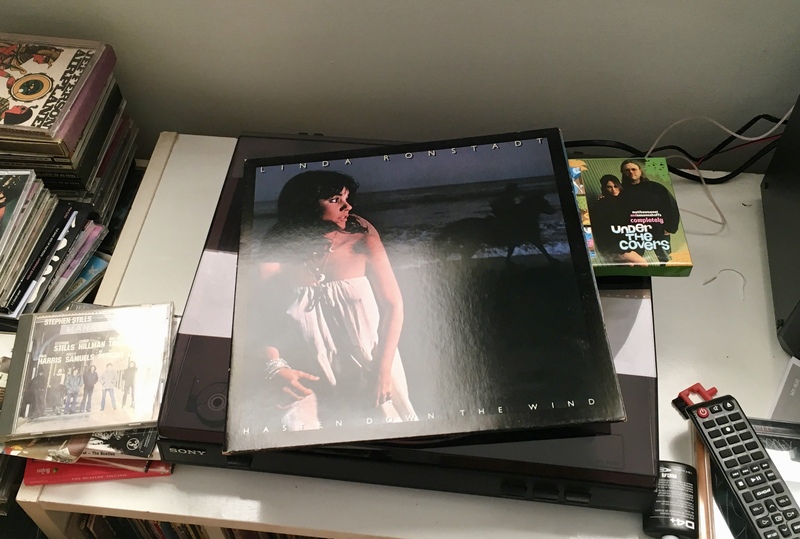 All things considered, life was good; and it was only made better by that day’s purchase: Linda Ronstadt’s 1976 album Hasten Down the Wind, which features “That’ll Be the Day” and three Karla Bonoff-penned songs, including the wondrous “Someone to Lay Down Beside Me.” It instantly became one of my favorite Ronstadt songs. I also picked up Fleetwood Mac’s Rumours on vinyl, and four Lou Reed albums, including the classic (and oft-overlooked) Coney Island Baby. Anyway, enough about me. Onward to today’s Top 5, as drawn from Weekly Top 40’s charts for the week ending the 5th. 1) Michael Jackson – “Billie Jean.” The No. 1 song this week was this propulsive piece of pop music. Say what you will about his latter life and music, but at this stage MJ was sheer brilliance on vinyl – and, as importantly, video. 2) The Pretenders – “Back on the Chain Gang.” Cracking the Top 10 is this classic single from Chrissie Hyde and Company, which would eventually land – along with its brilliant b-side, “My City Is Gone” – on the 1984 album Learning to Crawl. 3) Golden Earring – “Twilight Zone.” The Dutch band that gave the world one of the greatest driving songs of all time, “Radar Love,” also hit the charts with this 1983 single, which inched up from 18 to 16 this week. 4) Don Henley – “I Can’t Stand Still.” Former (and future) Eagle Don Henley’s first solo flight was with the solid I Can’t Stand Still album, which was released the previous August. It’s probably best known as the original home of “Dirty Laundry,” but this power-play track (at No. 48), the title song, is quite good, too. 5) Robert Hazard – “Escalator of Life.” Nowadays, Hazard is probably best remembered for writing the Cyndi Lauper classic “Girls Just Wanna Have Fun.” But he was also a big deal in the Philly rock scene, where he and his band, the Heroes, headlined area clubs and had songs played (and played and played) on Philly’s radio stations. In fact, though he had a few videos featured on MTV, I’d wager 90 percent of the sales for “Escalator of Life,” a new entry at No. 83, came from his Philly-area fans.